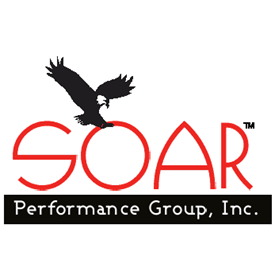 Atlanta, GA – SOAR Performance Group, Inc. today announced its expanded SOAR Employee Analytics Practice. SOAR Employee Analytics enables its users to shift hiring and the management of human resources from instincts about their personality and qualifications to insights of their hard-wired cognitive skills and personality traits. Hiring individuals, deciding who to promote, and developing talent are critical for effective Sales Capital Management℠. SOAR Employee Analytics addresses the in-efficiencies in this process by determining an individual’s hard wired cognitive skills and personality traits. These are the traits that an individual possesses that are unchanging and determine whether or not the individual is the best fit for a given role. Atlanta, Georgia – On Friday, December 2nd, 2011, the Atlanta Chapter of the Sales Management Association held its second successful event at the Ravinia Club in Atlanta, Ga. Sales leaders in attendance commented on the relevance of the panel discussion and the quality of the networking opportunity the event provided. Some of the companies represented at the event included CNN, HP, PGI, IBM, Ricoh, ADP, Ceridian, Trend Micro, UPS, Coca-Cola, Groupon, & Comcast.